KAMPALA – ICT and information minister Frank Tuwmebaze has lashed at undisclosed group whom he has also accused of ‘tainting’ Maj Gen. Muhoozi Kainerugab’s image. One guy was putting on a People Power Beret and Muhoozi Kainerugaba wanted him thrown out of the Bar, the standoff followed and music was stopped. This ‘childish’ impunity needs to stop if we’re to move forward as a country. “They shall know them by their fruits not words,” Minister Tumwebaze twitted. On Thursday, the dispelled social media reports he was involved a bar brawl and alleged chaotic scenes at Sky Lounge in Kampala. According to the official spokesperson, Maj Chris Magezi, the reports making rounds on social media alleging the first son bullied, let alone led to instant commotion at the premises are lies only aimed at misrepresenting what exactly happened. “Our office has been alerted to some falsehoods circulating on social media about the cross over to 2019 celebrations at a venue called Sky lounge in Kampala. 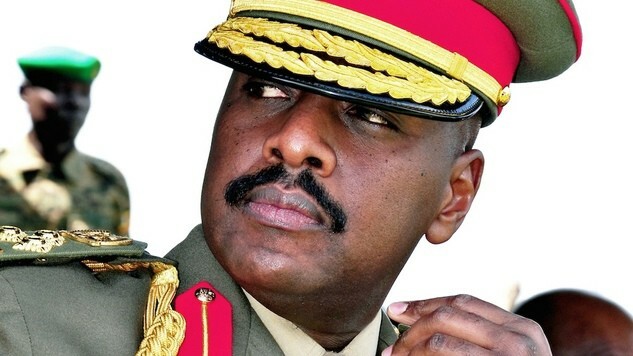 These falsehoods concern Maj. Gen. Muhoozi Kainerugaba……these are lies intended to spite and project a negative image of what was otherwise a happy occasion he attended,” a statement from Magezi reads in part. Magezi claims that the venue was packed with people happy and enjoying the New Year celebrations and no standing room was available. Thus there was thus no alleged pushing and shoving intended by anyone. “There were many people at the venue who were happy Gen. Keinerugaba joined them to welcome the New Year including the jokes about the ‘red berret’. What has been taken out of context on social media is that there were friends and colleagues all joking with him about the red cap, and him playfully insisting on wearing it since he regularly dons this as an army officer any way,” Magezi said. “Therefore, nobody intended or pushed anyone in out of the venue on account of a cap or dress code. It is absurd that a joke is politicised and made an issue,” he added.